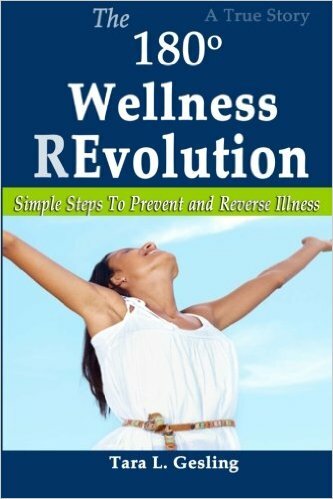 REVERSING CHRONIC ILLNESS IS POSSIBLE! Begin Taking Charge of Your Health Today! Best-selling author, motivational speaker, and functional nutrition expert. I’m here to shine a light on your healing opportunities, a.k.a. the tweaks you can make to your diet and lifestyle to dramatically improve your well-being. After years of surviving on prescription drugs and little progress with traditional medicine I decided to take charge of my own health. Through my self-discovered and self-guided approach, I was able to reverse symptoms of fibromyalgia, autoimmune thyroid disease, chronic fatigue, arthritis, high cholesterol, high blood pressure, and reflex sympathetic dystrophy AND lose 70 pounds naturally. Now that I have more energy because I’m eating real food, I’m more active. I’m working around my house more. Doing more yard work that for the last two years I’ve let go. I’m starting to clean out the cobwebs that over the last two years have accumulated because I just didn’t have the energy to deal with it. Thank you for pointing me this way and for sharing your knowledge. You have a gift there…and dear friends, if you ever want to strike out on a new and different path because you’re tired of feeling blah all the time – she is most definitely an expert guide. my friend MT. That really put me at ease since I believe that would also help MT realizes that recovery is very possible. My meeting with you was destiny, Tara. God brought me to meet and see you with my own eyes! You recovery is real! And so is the positive progress that is happening to my friend. Please, if I can help anyone, do not hesitate to contact me at <mailto:adeba.azis@gmail.com> adeba.azis@gmail.com. I owe this to God. I am so very happy with Tara. She is amazing! Tara has an amazing way to help uncover what’s going on with health issues in a way that is fun and informative. I have felt heard and understood each session. Since working with Tara I have more energy, reduced my bloating and just started to feel so much better. You captivated us in ALL ways throughout your presentation. We look forward to hearing more in the future… You Rock!! !